I like to create party favors for all types of events. It puts everyone in a good mood and helps to add positive energy to any get together. Favors are not just for kids anymore…adults can also have fun playing with party favors too, like the ones I made here. 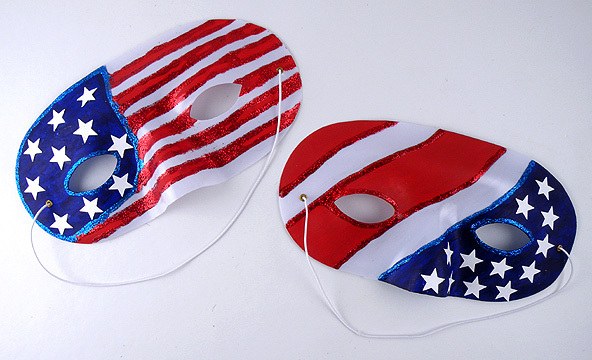 My American Flag inspired masks make great favors for your Fourth of July barbecue. You know there is going to be that one guy at the party dancing around wearing the mask thinking he is Captain America. Paint blue and red acrylic paint on the plastic mask creating an abstract American flag. You may need two coats to get a deeper color. Let dry. 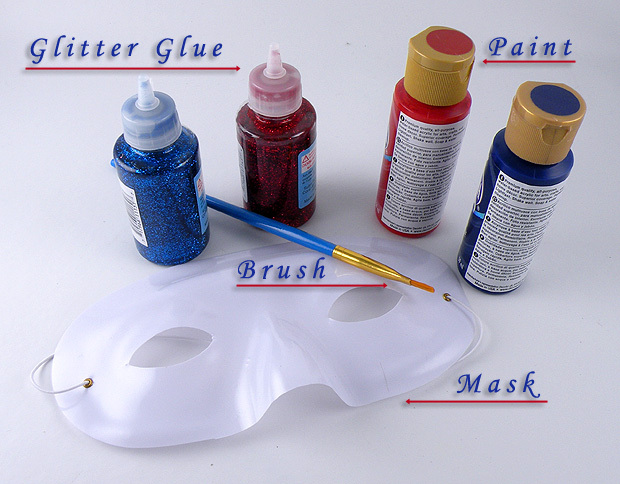 Punch some white stars from cardstock and glue them on the blue section of the mask with craft glue. Outline the blue and red painted areas with blue and red glitter glue. Let dry. This can also be a great project to make with the kids either before the Fourth of July or as an activity during your barbecue. This entry was posted in Crafts, kids and tagged 4th of July, American flag, American flag mask, barbecue, favor masks, fourth of july, Gina Tepper, kids, party favors. Bookmark the permalink.